There is a long standing debate that Reiki and Animal Communication are distinctly different healing modalities. 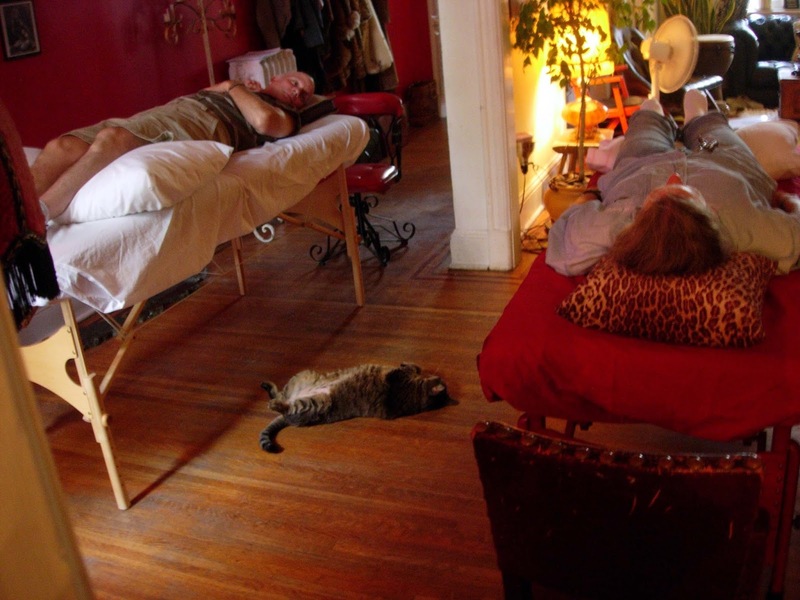 For example, when one is offering Reiki to an animal and the practitioner receives telepathic communication the practitioner is not fully focused on the Reiki session. In my experience that is not true. When one is focused and present with another, silent communication (telepathy) can take place naturally. 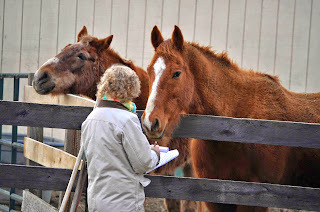 That said, and before delving a little deeper into this debate I would like to be very clear that when a practitioner does an animal communication session they set the intention that they will be doing just that, having a 2-way conversation with the animal and sharing the information with the animal’s person. They will not be offering Reiki at the same time. The same is true of a professional animal Reiki session. The practitioner sets the intention that they will be offering Reiki and creating a space where healing takes place. If the client wants an communication session that needs to be scheduled separately. Reiki (pronounced Ray-key) is a Japanese word that means “spiritual energy.” The Japanese word “Ki” is the same as the more familiar Chinese word “Chi” which translates to mean energy and the life force. Ki is the life force that is in every living being and thing. Reiki works on the physical, emotional, mental and spiritual levels of the body. 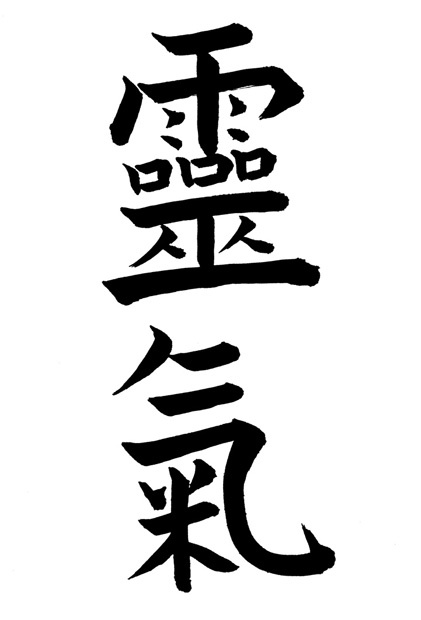 There are many different schools of Reiki but two main basic practices: Traditional Japanese Reiki and Modern Reiki. Modern Reiki’s main focus is hands-on healing and often the practitioner believes that THEY must heal the client or that they are responsible for the client’s healing. The System of Traditional Japanese Reiki consists of various meditations, practices and techniques. There are many goals in the practice of Reiki including self-healing and relaxation. To become one with the energy, practice quieting the mind and relaxing the physical body, connecting with earth energy and heavenly energy, and “step into” or become the “bright light,” creating a lovely space where healing can take place. There is an energy exchange that can take place as the client and the practitioner are in the “space” of healing where the practitioner offers energy and the client (both human and/or animal) can choose to accept the energy that is offered or choose not to. It is up to the human or animal to heal themselves. Just as in the practice of Reiki, there are many different styles or approaches to Interspecies Telepathic Animal Communication. First of all, what exactly is Interspecies Telepathic Communication? Telepathy means “feeling” at a distance. Feeling can be emotional feelings, physical sensations or that gut feeling or sense of knowing. This way of telepathic communication takes place not in your head but in your whole being. Some animal communicators call themselves pet psychics. Usually they work from their heads or minds and “read” the animal’s energy. They do what is called a reading and often do not ask the animals permission. Many of my colleagues work from the mind connection but go a bit deeper to what is called the heart-to-heart connection. 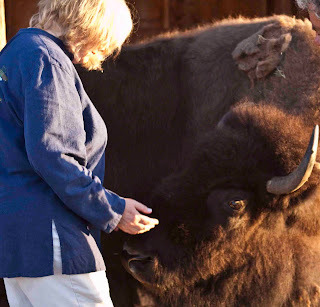 There are some communicators who go even deeper with their connection to the animal by focusing on their belly/gut and connecting to the earth through their feet and whole being, very similar to the Traditional Japanese Reiki practices. Interspecies Telepathic Communication begins by first asking permission from the animal and respecting them if they do not want to share with you at that moment in time. Using the same techniques that one uses when offering a Reiki session to an animal, the communicator centers themselves, quieting the mind and relaxing the physical body while breathing into their hara center. 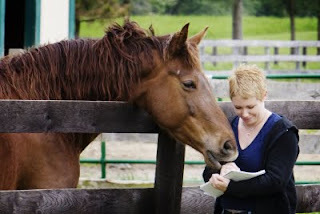 Next the practitioner sits in the silence with the animal waiting for a “connection” or signal from the animal that they are ready to have a two-way conversation. This process can be very quick or it can take time. The communicator sits in the silence with the animal as if they are an empty basket sitting under a peach tree waiting for the peach to ripen and gently dropping down into the waiting basket. This meditative state of being is the same as the meditative sate of being and connection when offering Reiki to a human or animal. One must be open, patient, and fully present, simply BEING with each other. It is often said that the founder of Reiki, Miako Usui, would sit in silence opposite a student and an energy exchange or healing (Reiju) would take place. No hands-on healing, just sitting opposite each other and BEING in the silence together. It is the same with animal communication. In the silence, deep communication can take place. It takes place mind-to-mind, heart-to-heart and soul-to-soul via the gut or hara center. I do not find a difference in this state of being and a 2-way exchange of energy. Energy is energy. Reiki is energy. Telepathy is energy. Are they not the same? My feelings in my heart, mind, soul, gut (hara center) feel the same when I am doing my Reiki practice and when I am in deep communication with an animal or nature. I feel I use the same techniques to begin an animal communication session as I do when offerlng Reiki. The difference with the animal communication session is the intention. The human client hopes to learn the animal’s point of view so the communicator must find a way to translate into words what comes or is exchanged as “feelings” or energy. To me the foundation for deep communication is the same foundation that one practices with the system of Reiki. I feel there are more similarities in Reiki and Interspecies Telepathic Communication than not. Quieting your body and your busy mind is key for both clear and deep communication with an animal as well practicing Reiki. It is important when working with either modality that we work on ourselves first so we can be more fully present with our animal friends or clients. Invite your animal companion to join you in this short and simple guided meditation. As you practice it, notice how your animal responds and feel your connection to your animal friend and their connection with you. Practice this daily and you may notice a change for the better in yourself, your life and the relationship with your animals and all that is. Please feel free to share your experience below. 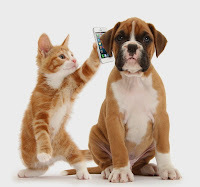 REIKI AND/OR ANIMAL COMMUNICATION IS NEVER A SUBSTITUTE FOR VETERINARY MEDICINE. REIKI PRACTITIONERS AND/OR ANIMAL COMMUNICATORS CAN NOT DIAGNOSE OR PRESCRIBE A PROTOCOL UNLESS THEY ARE A LICENSED VETERINARIAN.